By all accounts, Netflix (NASDAQ:NFLX) just posted a blowout quarter. And yet it’s not doing that much for the Netflix stock price. NFLX stock is up less than 5% in Wednesday’s session, after being up nearly 10% before the market opened. The reaction to the quarter is interesting. For all the noise about Netflix’s cash flow or earnings multiples, the story behind NFLX stock is all about subscribers, as I’ve written several times. On that front, the news was unquestionably good. 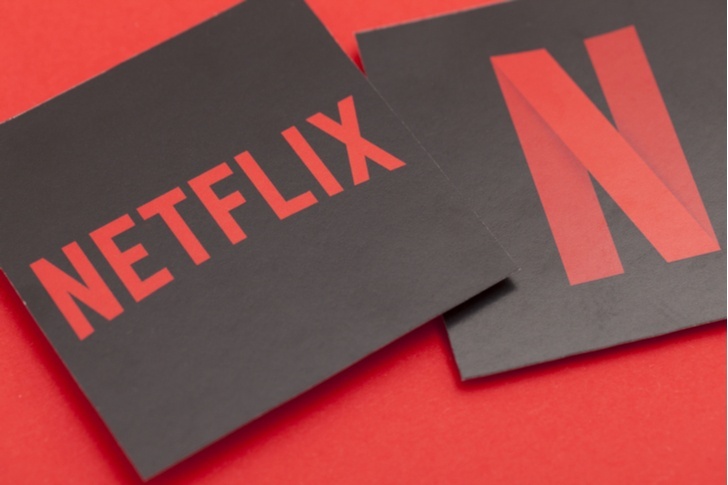 A subscriber beat in the third quarter and strong guidance for Q4 seems to alleviate the worries that led the Netflix stock price down double-digits after a disappointing Q2 report. And yet investors are basically shrugging. It’s an interesting speculation as to why that it is. NFLX Stock Should Be Soaring, Right? Netflix posted a nice EPS beat in the quarter, topping consensus estimates by 21 cents. But that beat isn’t all that material to the Netflix stock price. NFLX stock is being bought on what its profits will be next decade (and the one after that) — and those profits come down to subscriber counts and the value of the content it’s creating at the moment. On that front, the news looks hugely positive. Domestic streaming adds were over 1 million, against the guidance of 650,000. The international subscriber count rose by nearly 6 million, against Street expectations in the mid-4 million range. Q4 guidance for 9.4 million subscribers was well ahead of consensus projections of 7.64 million. Price targets were raised by several analysts. Considering that the target Netflix stock price was at $382 heading into the release, the Street on average now likely is projecting something nearer $400. Yet NFLX stock hasn’t reacted the way one might think. A nearly 5% gain isn’t bad, to be sure. NFLX still has added about $7 billion in market value. Clearly, the market is reacting as if it were a good quarter. But hardly a great one. The Netflix stock price remains below where it was at the start of this month. It’s below where it closed — not opened — after the Q2 miss, and roughly 15% below June highs. The interesting question is why. If Netflix’s Q3 shows that Q2 was just a blip, why isn’t the Netflix stock price returning to those levels? Shouldn’t it at least be above its price from three weeks ago, with the worst-case scenario of another Q3 miss off the table? One possibility is that the market simply remains nervous about the valuation here (and about high-flying tech stocks in general). The recent selloff was particularly unkind to growth stocks in the sector. Even Amazon.com (NASDAQ:AMZN) fell 15% in a matter of sessions; it’s still 11% off early September highs. Roku (NASDAQ:ROKU) pulled back some 25%. Spotify Technology (NYSE:SPOT) briefly threatened an all-time low. Investors may see the quarter as good. But they may not be ready to return to the sentiment seen earlier this year, when the Netflix stock price more than doubled in less than six months. Good news doesn’t simply get bought. If that’s the case, it doesn’t bode well for near-term trading either for NFLX stock or its tech brethren who are reporting over the next couple of weeks. The other possibility is that for some reason investors don’t see the report quite as bullish as the subscriber numbers make it seem. Netflix did say on its conference call that cash flow burn was going to continue for some time, with 2019 likely to look similar to 2018 and breakeven a few years off. That’s not necessarily a surprise, however. The point of Netflix’s content strategy is to pay now for content that can be monetized forever – and basically for free. Clearly, investors liked that strategy in June. There’s not much fundamental evidence to suggest much of change, with the big test coming next year when Disney (NYSE:DIS) pulls its content to back its own streaming service. What’s interesting about the reaction to Q3 is that the story behind NFLX stock seems not only intact but clearer. Netflix is the dominant streaming distribution company in the world. It has a huge head start and continues to add to its lead over rivals. It’s investing billions at the moment to establish that moat — and it’s succeeding. Third-quarter numbers show both the level of the spend, plus the growth it’s helping to create. Yet, investors aren’t as interested in that story as they were just a few months — and a few weeks — ago. For Netflix stock bulls, that signals a buying opportunity. For those like myself who are more cautious, it raises the question of what that means for the Netflix stock price over the next few weeks and months. Article printed from InvestorPlace Media, https://investorplace.com/2018/10/somethings-wrong-with-the-netflix-stock-price/.